Cinnamon granola is a staple in our house. With a gluten free granola recipe like this one, you can eat it for breakfast, snacks, or even dessert. Our family puts cinnamon granola on yogurt, ice cream, fruit crisps, and we even eat it right off the baking tray! If you love granola as much as we do, but you need to follow a paleo, grain-free, or refined sugar diet, give this delicious Paleo Granola recipe a try! It has all of the granola flavors you love, but it is grain free and refined sugar-free too! 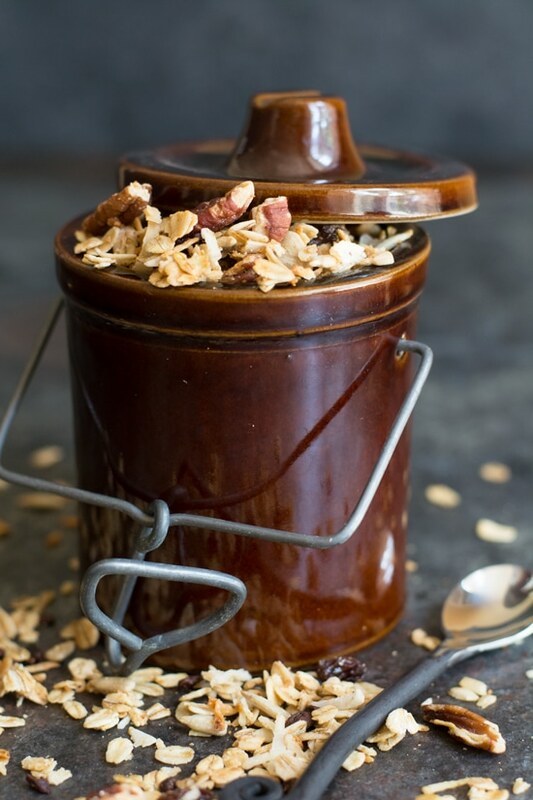 Have you tried to make your own cinnamon granola yet? Once you make homemade granola, it is very hard to go back to expensive store-bought granola! 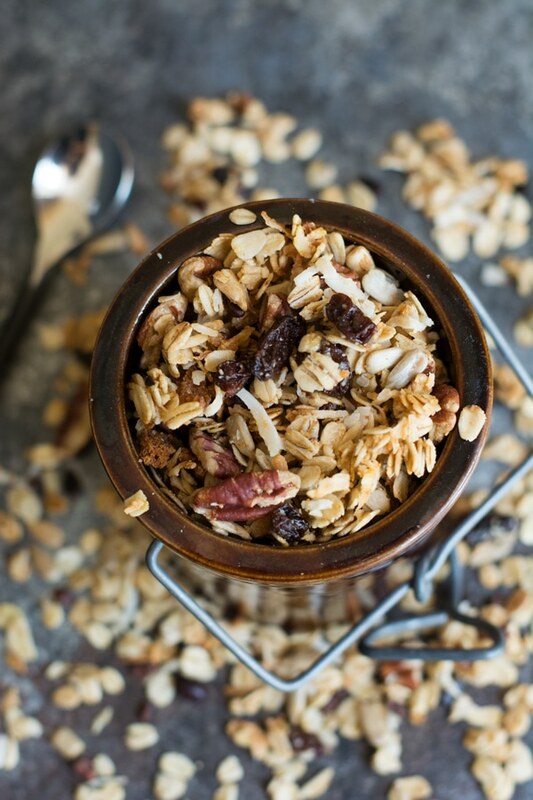 You will also love this simple Mulberry Cardamom Granola recipe too! Adding gluten free granola on top of this yogurt is so good for breakfast! 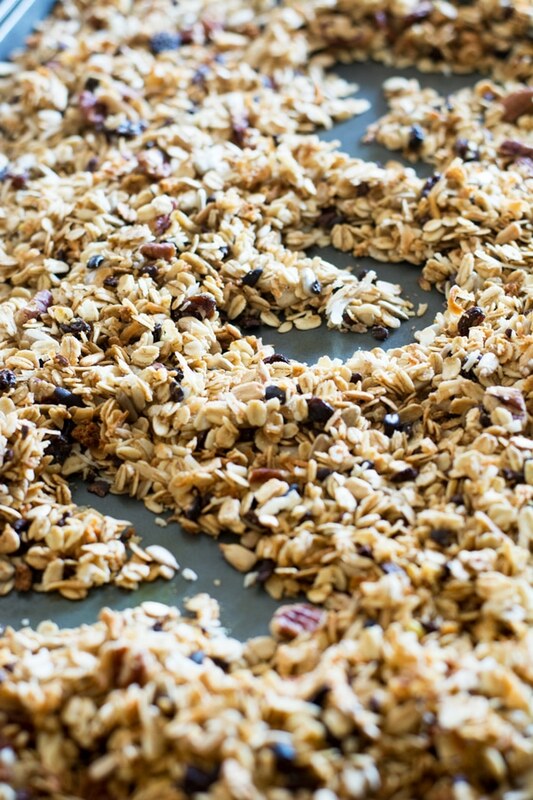 Once you know the formula, you can make any flavor of homemade gluten free granola you like! Nuts – chopped walnuts, pecans, or pistachios are delicious options for cinnamon granola. Seeds like sunflower seeds, pumpkin seeds, and flax seeds. Dried fruit like raisins, cherries, and apricots. Seasonings like pumpkin spice, or even savory spices like chili powder or curry powder will kick up the flavor of any gluten free granola recipe! 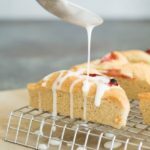 It is really important to know that when you are on a gluten free diet, it is critical to ensure that the oats you use are certified gluten free. Cross contamination is a huge issue for oats and I don’t want anyone to get sick!! Our family loves Trader Joe’s Oats and Bob’s Red Mill Rolled Oats. Both are certified gluten free and nobody in our family has ever reacted to them. Mix in a bowl with milk for cereal. Use as a trail mix on a hike. I used coconut oil in my recipe, but you can also use other light oils like avocado oil. 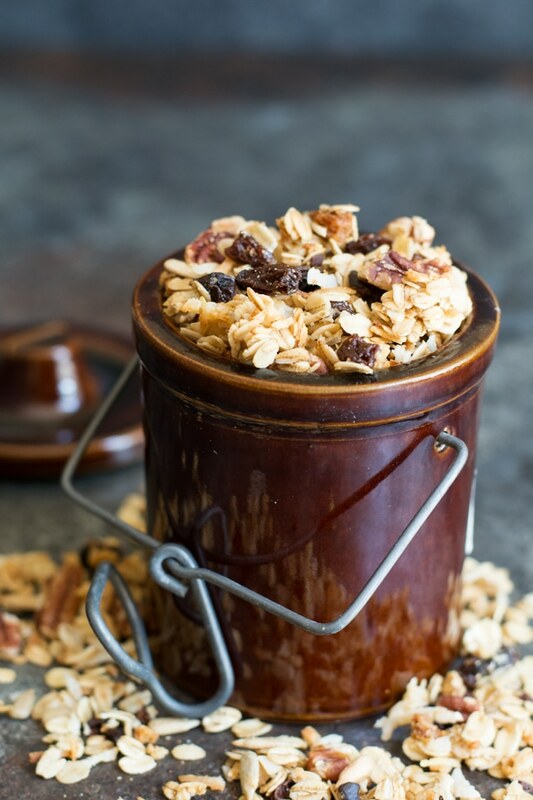 Cinnamon granola is an easy, customizable, homemade, gluten free granola recipe. Pour on melted coconut oil, vanilla, and maple syrup and mix well. Bake at 250 for 20 minutes, or until done. Remove from the oven and allow to cool. Store in a large ziplock bag or container. Definitely trying this recipe. Do you add the raisins and bake them or toss them in after the oats and nuts are baked? Last time I made granola and added raisins to it, they got crispy and disgusting and ruined the whole batch. Now I’m traumatized and nervous to try again. Okay I’ve been looking for a good granola for breakfast and most I have tried have fallen short – this one looks incredible though! I cannot wait to try it out! Thanks for sharing! Yum! 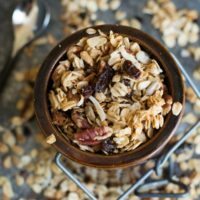 I love, love, love making homemade granola – it’s probably one of my favorite things to keep in my pantry! 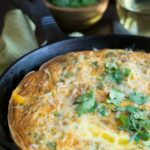 This recipe sounds absolutely delicious! I love that you added pepitas, another one of my favorite things! Pinning! I totally agree. Even my picky kids likes homemade granola. OMG! This is such an quick recipe for Granola! Now, I can try making some at home. Plus I love the use of avocado and coconut oil! Thanks for easy recipe, Sandi! Pinning! What other oil besides coconut?